Chalet Apartment Ski and Golf by Kaprun Rentals price per day from € 232 Situated 300 metres from the shores of Lake Zell, the Chalet Apartment Ski & Golf offers luxurious design and modern household appliances. The impressive Mount Kitzsteinhorn towers in the background. Guests receive a 10% discount at the Tauern Spa and a 25% discount at the Zell am See-Kaprun Golf Course.. 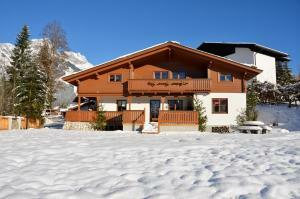 Active Chalet Surrounded by a large garden, the Active Chalet is 1 km from the centre of Maria and the ski lifts. The Active Chalet features 4 bedrooms (each with cable TV), 3 bathrooms, a fully equipped kitchen with a dining area, a living area with a tiled stove, and a washing machine and dryer. This card offers many free benefits, including free use of the cable car and the public outdoor pool, 300 metres away..
Salzburg City Austrasse price per day from € 78 . Chalet Resi Located in Bad Hofgastein, 400 metres from a golf course and 3 km from the Gasteiner Bergbahnen Ski Area, Chalet Resi offers self-catering accommodation, a terrace and a fitness centre. WiFi is available at a surcharge, and free parking spaces are available on site and a ski bus stop is 100 metres away. Handlerhof Hotel Handlerhof offers rooms with balcony and panoramic view of the Alps. Every room has a seating area and provides free Wi-Fi. The hotel’s own spa centre has a sauna, a steam room and an infrared cabin. 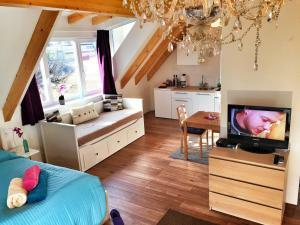 Maria Alm with its famous pilgrimage church and a golf course can be found within 5 km..
Anblick Appartement Zell am See’s Anblick Appartement offers a spacious apartment with 2 bedrooms, a living room, cable TV, kitchenette, dining area and bathroom. 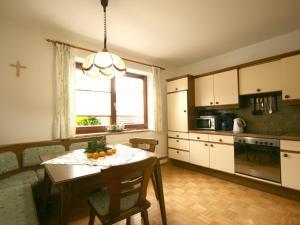 Located on the fourth floor, the apartment enjoys good views of Lake Zell and the surrounding mountains. Hiking, cycling and swimming in Lake Zell are popular activities in summer..
Appartementhaus Anna price per day from € 100 Situated in the centre of Leogang, Appartementhaus Anna is 700 metres from the Asitzbahn Cable Car, in the Leogang/Saalbach/Hinterglemm Ski Area. 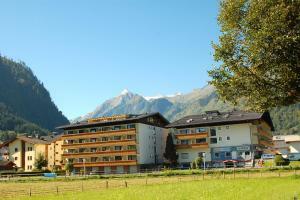 Appartementhaus Anna offers free private parking and free ski storage and ski boot dryer facilities. Ferienhof Millinghof price per day from € 90 Built in typical Alpine style, the Ferienhof Millinghof is located in quiet surroundings at the foothills of the Leoganger Steinberge. Guests can enjoy typical Salzburg cuisine at the property. At a surcharge a ski storage room is available at the station of the Cable Car. Amadé: recommended ski resort for experts. Europa Sport Region: recommended ski resort for experts. Gastein: recommended ski resort for experts. Leogang: excellent nightlife, many restaurants and pubs. Maria Alm: excellent nightlife, many restaurants and pubs. Neukirchen / Wildkogel: very good nightlife, many restaurants and pubs. Rauris: excellent nightlife, many restaurants and pubs. St Gilgen: recommended ski resort for beginners. Wagrain: excellent nightlife, many restaurants and pubs. Bad Hofgastein. 115+ apartments ! Maria Alm Am Steinernen Meer. 91+ accommodation units ! Saalbach. 115+ accommodation units ! Zell Am See. 214+ apartments, 38+ villas !